Google congratulated the Independence Day October 8 to Croatia - many thanx to Google! » Home » Humor And Wisdom » Google congratulated the Independence Day October 8 to Croatia - many thanx to Google! » Home » Friends » Google congratulated the Independence Day October 8 to Croatia - many thanx to Google! » Home » Entertainment » Google congratulated the Independence Day October 8 to Croatia - many thanx to Google! » Home » Education » Google congratulated the Independence Day October 8 to Croatia - many thanx to Google! Croatian Independence Day is celebrated on 8 October. On that day in 1991 Croatian Parliament proclaimed its independence from ex-Yugoslavia. Croatian Parliament (Deit, in Croatian Sabor, one of the oldest deits in Europe), has the oldest preserved minutes from the 13th century. On 8 October 1991 the Croatian Deit (Parliament) decided to cancel all ties with ex-Yugoslavia. The day before Zagreb has been bombed from the air by the Yugoslav army attempting to assasinate president Franjo Tuđman and Croatian Government. The decision has been undertaken in circumstances of Serbian agression on Croatia, where the ex-Yu army was left without control of ex-Yugoslav presidency. The Decision obtained support of great majority of citizens of Croatia. Thank you, Google, for celebrating Croatian Independence Day with us! We mention in passing that even later, on 7 January 1992, the (ex)Yugoslav Army murdered four Italian officers and one French, members of the Peace Mission of the then European Community during their helicopter return from Hungary to Croatia. Their names are Silvano Natale, Fiorenzo Ramacci, Enzo Venturini, Marco Matta and Jean-Loup Eychenne. The Hague Tribunal does not seem to have ever been interested in the tragic destiny of these innocent people, murdered by the MIG 21 attack on the helicopter in Podrute near Novi Marof, North of Zagreb. This murder has been organized by the ex-Yugoslav general Blagoje Adžić, who has never been invited by the Hague Tribunal. He is one of those responsible not only for this crime, but for about 20,000 murdered in Croatia, and about 250,000 in Bosnia and Herzegovina during the aggression on these states. 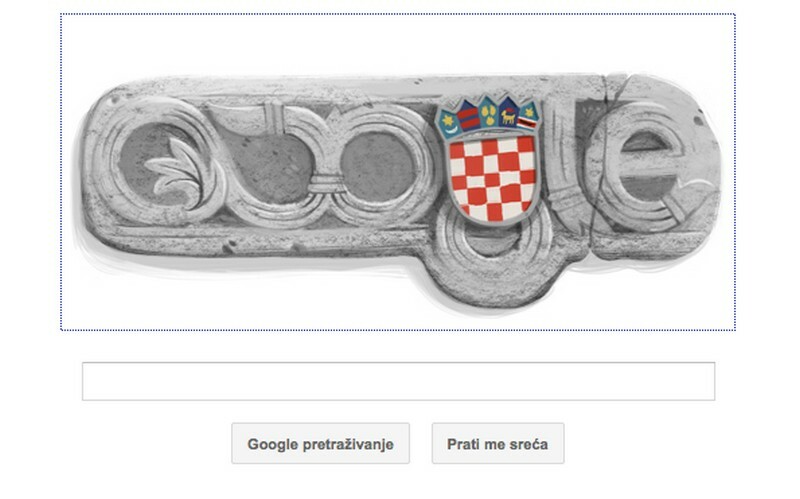 The interlace pattern of the Baska Tablet has been used by Google for the Croatian Independence Day logo. 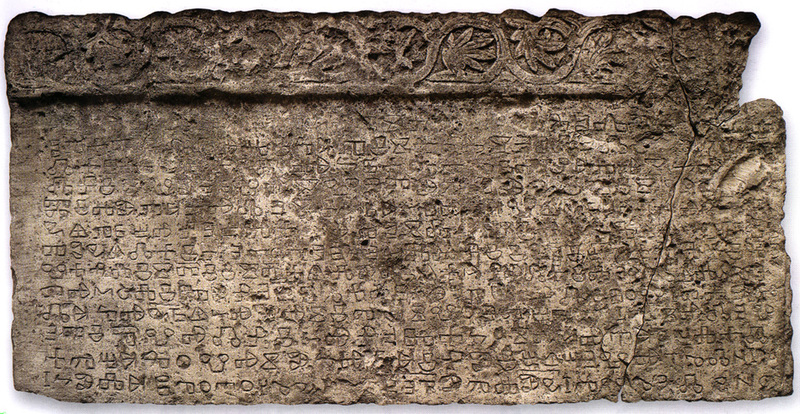 The Baska Tablet, one of the most important monuments of early Croatian literacy, carved around 1100 in Croatian Glagolitic letters on the island of Krk. 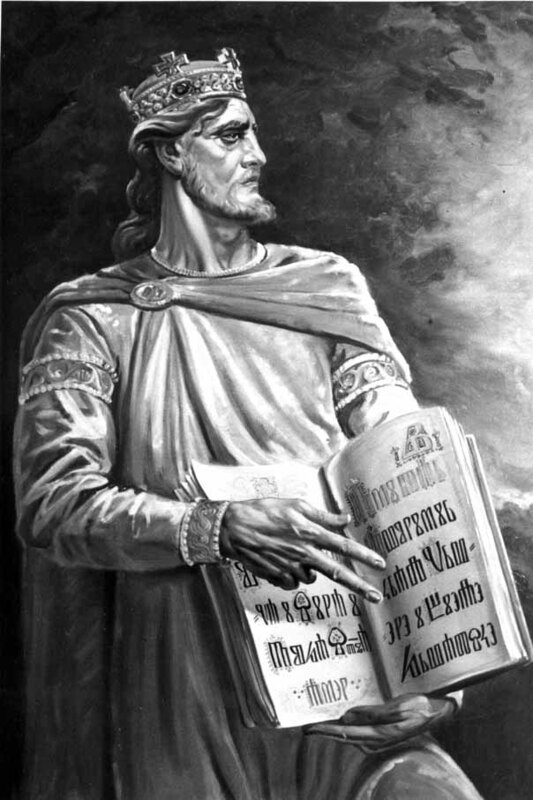 Its third line mentions ZVONIMIR THE CROATIAN KING, 11th century, for the first time in Croatian language, and Croatian script. The tablet has 13 lines, about 100 words (400 Croatian Glagolitic characters), is 2 m wide, and is weighing about 800 kg. It is kept in the atrium of the Croatian Academy of Sciences and Arts in Zagreb. The logo of the Google was composed of Croatian Coat of Arms combined with the interlace pattern from the famous Baska Tablet, one of the most important Croatian written monuments, carved around 1100.